Portland Timbers are in group West and find themselves in seventh position on the table with 26 points from 20 matches, two points below Sporting KC who has played two games more than them and one point above SJ Earthquakes who has played one game less than them. Whereas Seattle Sounders are ninth on the table with 20 points in the 18 games they have played, five points below SJ Earthquakes who has played one game more than them and two points above Houston Dynamo, who has played one game more than them. 18th July 2016 at 00:30 (IST). Providence Park, Portland, United States of America. Portland Timbers are seventh on the table from the 20 games they have played, they have won six games, drew eight and lost six, making 26 points. They have scored 29 and conceded 30 goals in total. Fanendo Adi is their top scorer with nine goals to his name; Diego Valeri also has seven goals to his name, and he also has five assists to his name. They have made a total of 316 interceptions and have crossed the ball 234 times with a success rate of 17% and have won 236 fouls. In their last five games, they have won one and drew four, winning against Houston Dynamo by 3-2 and drawing to Montreal, Red Bulls, Real Salt Lake, and Colorado. 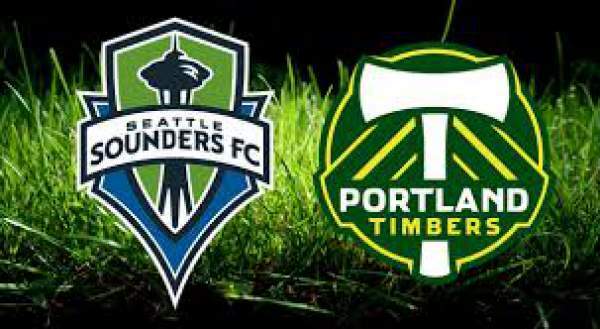 Seattle Sounders are ninth on the table and needs to improve this; they have 20 points from six wins, two draws and ten losses from the 18 games they have played, scoring 19 and conceding 21 goals in total. Jordan Morris is their top scorer with seven goals and Andreas Ivanschitz have four assists and is their top assister; Osvaldo Alonso has three assists. In their last five games they have won one, against FC Dallas by 5-0, lost three against LA Galaxy by 0-1, gainst New York City by 0-2 and against NY Red Bulls by 2-0 and drew one against Toronto FC by 1-1. Lucas, Gleeson, Borchers, Powell, Valentin, Ridgwell, Nagbe, Jewsbury, Zemanski, Adi, Jack. Freiberg, Frei, Marshall, Fisher, Jones, Evans, Roldan, Alonso, Ivanschitz, Dempsey, Morris.